Deep in the Florida Everglades are a group of scientists researching the best ice cream flavor and creation process. This relentless quest has led to an entire Periodic Table of Flavors and they need your help. Flavor selectors and taste testers are needed — in the name of science. Well, science, and pure love of ice cream! 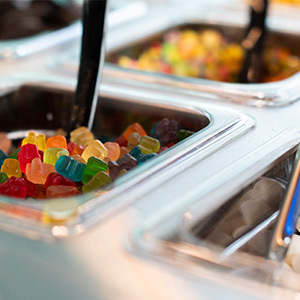 At Chill-N, we use a wide variety of ingredients — classic ice cream and vegan-friendly options, hand-made fudge and strawberry syrup, and coffee from Miami’s Panther Coffee — and flash-freeze it to create the best ice cream north of the Keyes. Why use liquid nitrogen, you ask? Well, when we flash-freeze your ice cream or frozen yogurt, we can use preservative-free ingredients (the freshest) and it creates a crystal-free consistency (the creamiest). So, our claims to the freshest, creamiest, smoothest ice cream and frozen yogurt are substantiated by science! At Chill-N of Weston, we use our six-step scientific process to create your concoction. The first three steps are yours. Although the choices may be difficult — all the options are delicious — don’t fret. If you don’t get it perfect in your first bowl, try again. Check out the Periodic Table of Flavors for all of the choices. Pick a flavor — mint, peanut butter, or chocolate perhaps? Toss in a few mix-n’s — cheesecake, brownies, or top with whipped cream. Then, we’ll take care of the science. We mix it all up. Enter liquid nitrogen to flash-freeze it. Voila!. Enjoy the reward of the smoothest, creamiest, freshest ice cream in Florida. Living in Weston, FL, ice cream is in season all year long. At the end of a long day or a long week at work, getting a handmade liquid nitrogen ice cream from Chill N Nitrogen Ice Cream makes life brighter. Drop into our shop today and experience a different life. Eating ice cream makes you smile. Neuroscientists at the Institute of Psychiatry in London scanned the brains of people while they were eating ice cream. The orbitofrontal cortex, the processing part of the brain and the part of the brain that activates when people are doing activities that make them happy, lit up. So be happier. Eat ice cream. Get your calcium and vitamins in. Ice cream is packed full of calcium, which promotes strong bones and healthy teeth. Liquid nitrogen ice cream is chock full of vitamins A, B-6, B-12, C, D, E, and K. Oh, and did we mention flash freeze ice cream contains niacin, thiamine, and riboflavin. Throw away those daily vitamins, and replace them with Chill N Nitrogen Ice Cream instead. Energizer. Liquid nitrogen ice cream is full of macronutrients to give you energy to accomplish your daily laundry list of tasks you need to get done. 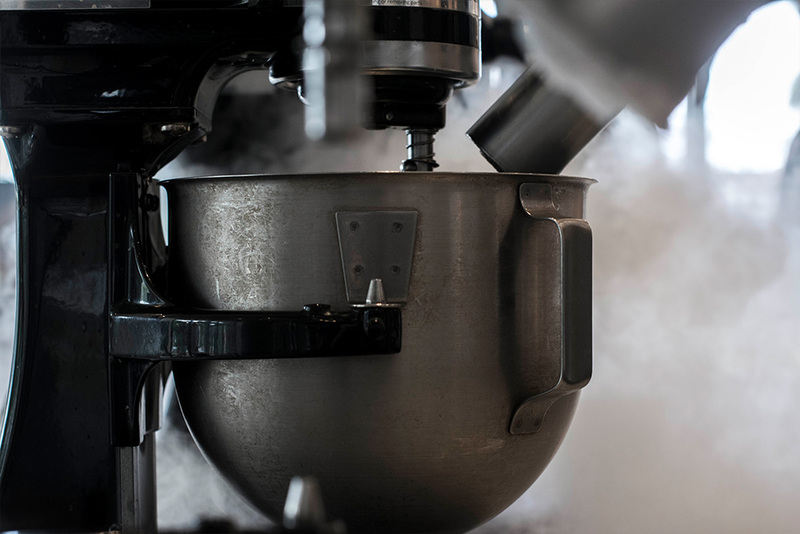 And since liquid nitrogen is flash-freezed, we’ve cut the amount of fat needed to give it a smoother texture. Plan to grab ice cream before a long day at the beach or a long day at the zoo with your kids. Stimulates the brain. Liquid nitrogen ice cream could be the eureka you’ve been searching for. A recent study shows that eating ice cream for breakfast can give you a mental boost. While Chill N Nitrogen Ice Cream doesn’t necessarily believe you should eat ice cream for breakfast every day, we do think eating ice cream will boost your creativity and improve your focus. 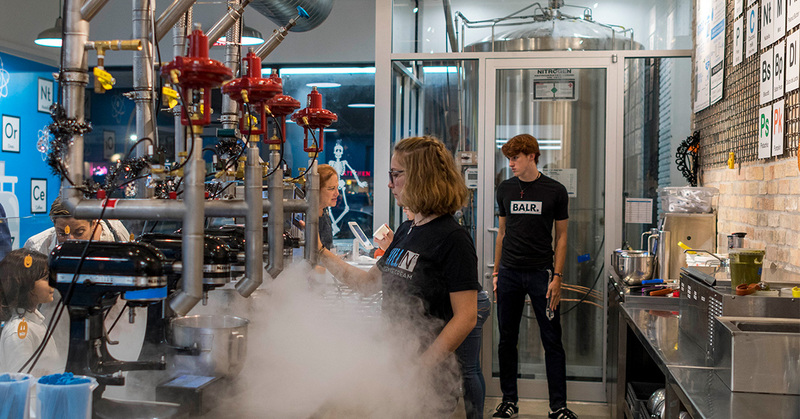 Weston, FL, has the best liquid nitrogen ice cream on the planet. Chill N Nitrogen Ice Cream is hands-down the best ice cream to make you smile, improve your mood, energize you, stimulate your brain, and give you a healthy dose of calcium, vitamins, and minerals. Do the smart thing and visit our liquid nitrogen ice cream shop today! If you love our ice cream and want to help our research, we offer catering services to allow you to share it with all of your party or event guests. Schedule your event date today.